Being adequately insured for your heli-skiing adventure is essential (and a condition of booking a trip with Elemental Adventure Heliskiing). We have partnered with both P J Hayman & Company Ltd and World Nomad Insurance in order to offer you a comprehensive travel insurance policy specifically tailored to adventure sports including heli-skiing. We recommend two insurance policies, depending on where you are located. Both single and annual multi-trip policies are offered covering a range of different winter and summer activities. Heli-skiing and off-piste skiing (with or without a guide) are covered as is trip cancellation* up to £5,000 (can be increased to £10,000). Cover for off-piste skiing and snowboarding with or without a guide or instructor. For more details, see the full policy wording. * You must select Part B to include Cancellation /Curtailment cover. Adventures Travel Insurance is arranged by P J Hayman & Company Limited who are authorised and regulated by the Financial Conduct Authority (Financial Services Register number 497103). Registered office: Stansted House, Rowlands Castle, Hampshire PO9 6DX. Reg no. 2534965. Underwritten by White Horse Insurance Ireland Limited except Financial Failure which is provided by International Passenger Protection Limited. For Non-UK Residents we advise you use World Nomads Insurance. 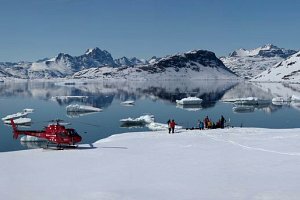 PLEASE NOTE: World Nomads do not provide cover for heliskiing, expeditions, mountaineering and/or trekking in Antarctica, within the Arctic Circle and Greenland. Medical cover for a range of adventure activities. Since 2002 World Nomads Insurance have been providing adventure travel insurance for individuals across the world. They cover people from over 150 countries, with medical and evacuation cover, 24-hour emergency assistance and cover for a large range of adventure activities. Their experienced team bring service, underwriting expertise and technology, making them the number one choice for many of the world's leading travel brands such as Lonely Planet and National Geographic Adventure. Medical Consultation services 24/7/365 with critical care paramedics, nurses and physicians, and an exclusive relationship with the Johns Hopkins Emergency Medicine Division of Special Operations.